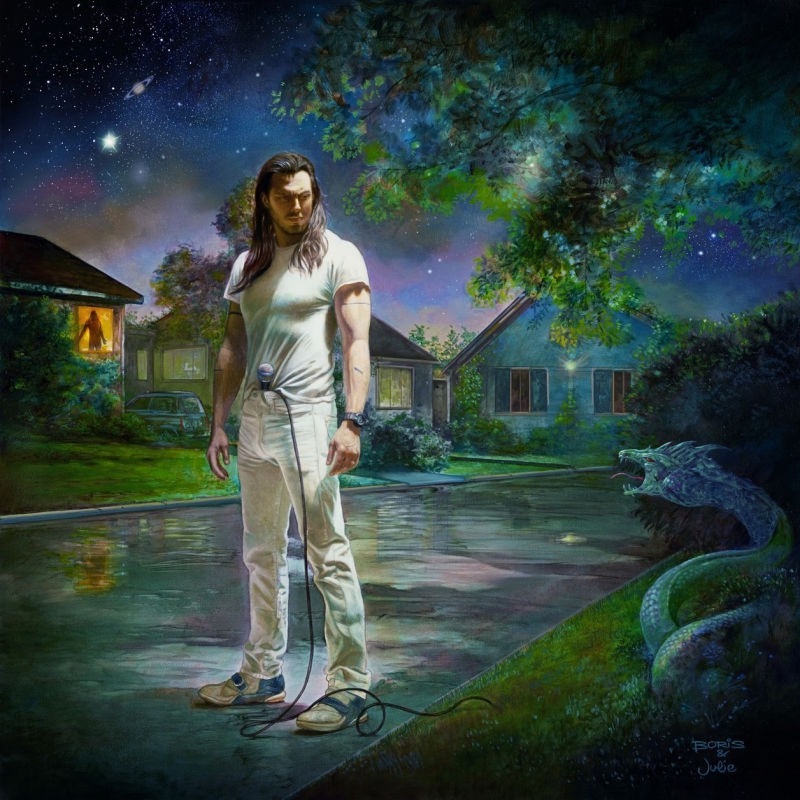 ALBUM REVIEW: ‘You’re Not Alone’ by Andrew W.K. The character of Andrew W.K. is arguably just as important as the music. It’s easy to see the man in his talismanic off-white T-shirt and jeans bashing away at his piano and think little of it, but behind the self-proclaimed title of “professional partier”, there’s a genuinely effective motivational speaker who channels those abilities into his music. Even if his last true smash in album form was I Get Wet in 2001, Party Hard and She Is Beautiful have stood the test of time as rock staples, something that wouldn’t likely have happened if that ethos of positivity in life as the form of a party wasn’t there. That’s essentially the central premise of You’re Not Alone, where the underlying message and its delivery proves far more important than anything approaching great depth or nuance. Tracks like Ever Again and I Don’t Know Anything swiftly extol their virtues of positivity and rising up from life’s hardships, and even though the recursion of a perennial party lifestyle has largely been dialled back, there’s still room for Party Mindset to throw those old attitudes back into the mix for a welcome inclusion. Alongside brief spoken word interludes of W.K. dishing out his own words of wisdom, the desire to uplift comes stampeding out of the gate all across the shop. Even if the instrumentation isn’t anything to particularly marvel at – big, glamorous hard rock stuffed with pianos and choral bezels to the point where W.K.’s beefy shouts fill up the tiny piece of remaining space – but for the gigantic vibe that You’re Not Alone wants to create, this does a pretty great job at it. Unfortunately that’s also where this album stumbles the hardest, mostly in the way that a supremely broad, album-wide theme crossed with instrumentation that’s just as broad doesn’t haven’t much to say overall, and for an album that’s sixteen tracks long and just shy of an hour, things start to run together extremely fast. And that doesn’t feel like an accident either; You’re Not Alone‘s biggest goal to hit is the flash and the power, and even if W.K.’s tackling of pulling oneself out of adversity has far more conviction than your average wimpy emo vocalist, that’s pretty much all that it has. Particularly towards the back half and such a simplistic approach rapidly runs out of steam, the likes of The Devil’s On Your Side and Break The Curse don’t really do a lot besides add to the pomp and further inflate an already bloated listen. And sure, there’s a definite appeal to something like this, when only a huge, uncomplicated hard rock barrage will suffice. To some extent, Andrew W.K. succeeds at that, but he’s largely unable to take it anywhere significant. But again, that’s probably the point, especially when You’re Not Alone is, by design, an album not to dissect to readily or pay more mind to beyond an extremely casual listen. By those standards, this is definitely a solid listen and one that’s at least worth giving some attention to, even if the chances of it having much staying power are ridiculously slim. ‘You’re Not Alone’ by Andrew W.K. is out now on Sony Music Entertainment.